Now, I know I said "I don't make cakes for anyone else, only friends and family." But when a gentleman asks you, so nicely, to make him a cake for his lovely wife's birthday ... How on earth do you say "No"? As you can see, I didn't. This cake has the same colour sponge as the Liverpool cake earlier this month, which is what was asked for, as well as the white butter cream (only it's not butter, it's Trex). I've put my recipie for Trex butterless butter icing on my blog, click here for it. Not much went wrong really, except a slight disaster with the fondant. I rolled it way too thinly, but I had spare so started again. I purchased the red and white roses from the cakey-bakey shop and made the other decorations myself. 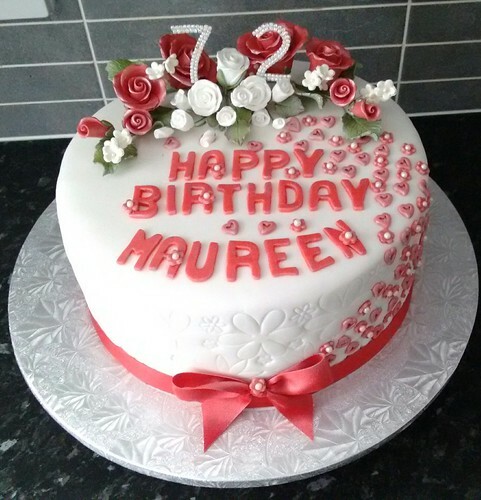 The small flowers, mixed with live hearts (what was asked for) cascade down the right hand side as you look at the cake. It looks a tad strange and very bare on the left hand side, but if I put anymore decorations on there, it will be overkill. 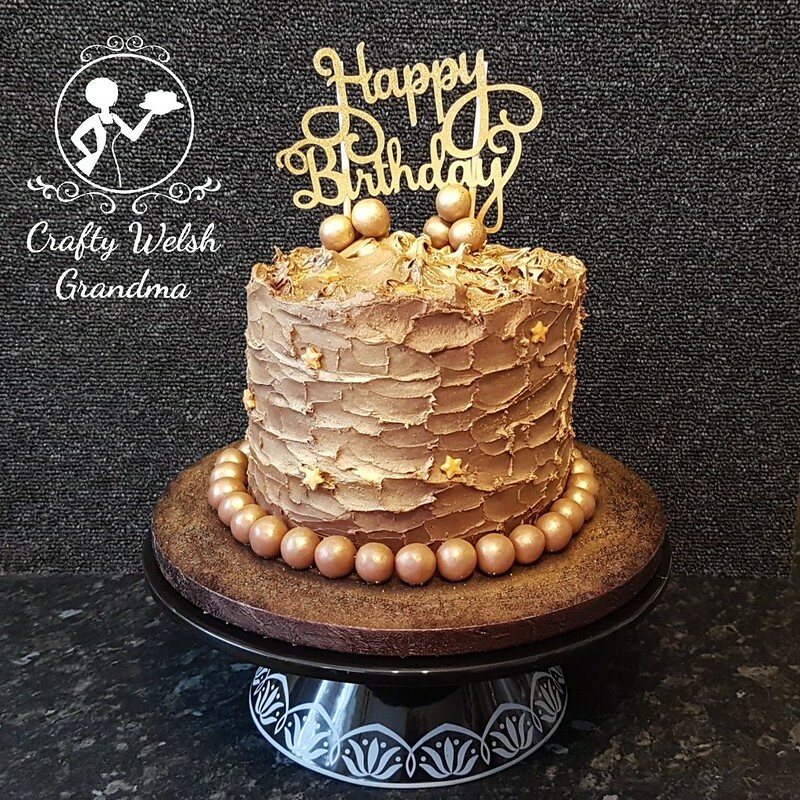 Once the decorations, ribbon and diamante-style decorations were all in place, plus around the cake embossing, a generous spray of edible "luster" was applied. Oh that stuff smells scrummy.